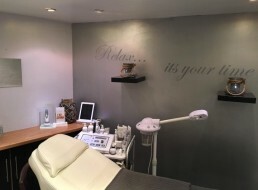 Our Oxted, RH8 medical clinic is located at the Gloss hair and spa. At our clinic all procedures are carried out by a UK Doctor, ensuring the highest level of care and attention. The clinic is easily accessible with several transport options available to our patients. To find the easiest route for you please click here. If you would like to speak with us regarding our treatments or to book a free consultation with our doctor, please do call us on +44(0)20 8417 1114 or complete our contact form and a member of our team will be in touch shortly. We do not store any of your information on our website, your enquiry is sent directly to a member of the team to process your request. We will NOT share your personal information with any third party. By checking this box you agree that the information you provide us will only be used as part of your consultation by a member of the EpicDermis team.